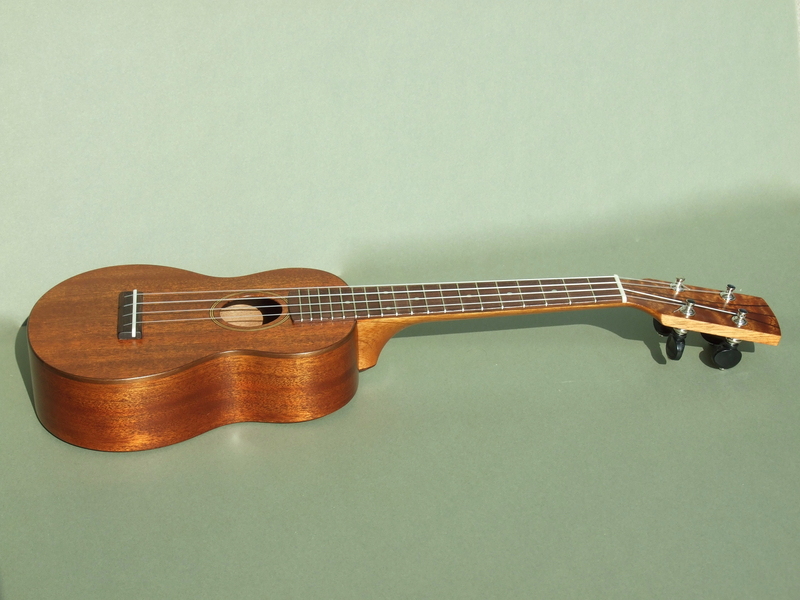 DJ Morgan Soprano Ukulele in African Mahogany. 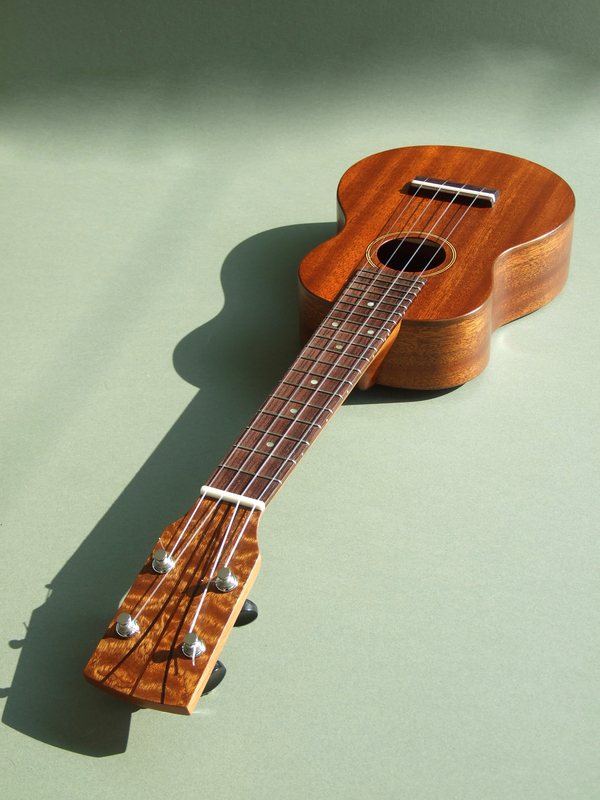 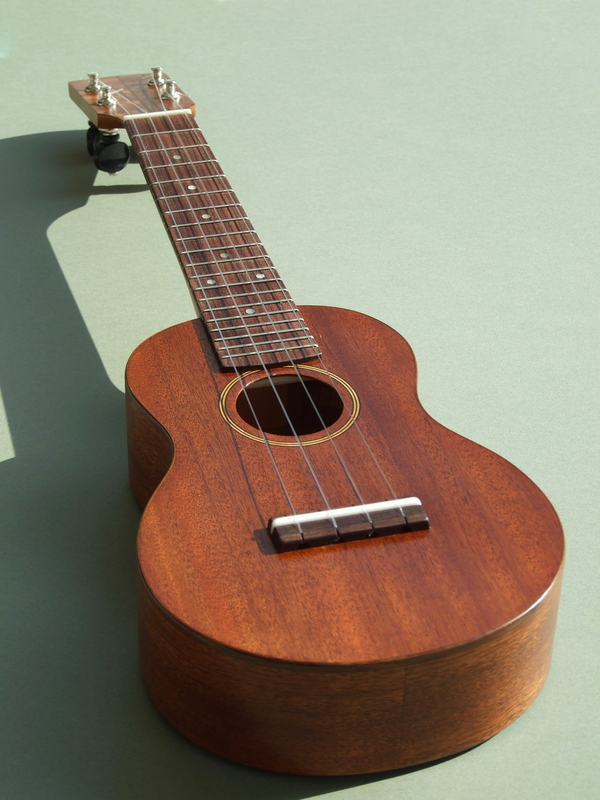 As with all the Soprano ukuleles I build, they are long neck models. 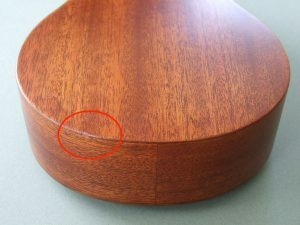 The neck joins the body at the fourteenth fret rather than the traditional twelfth fret. 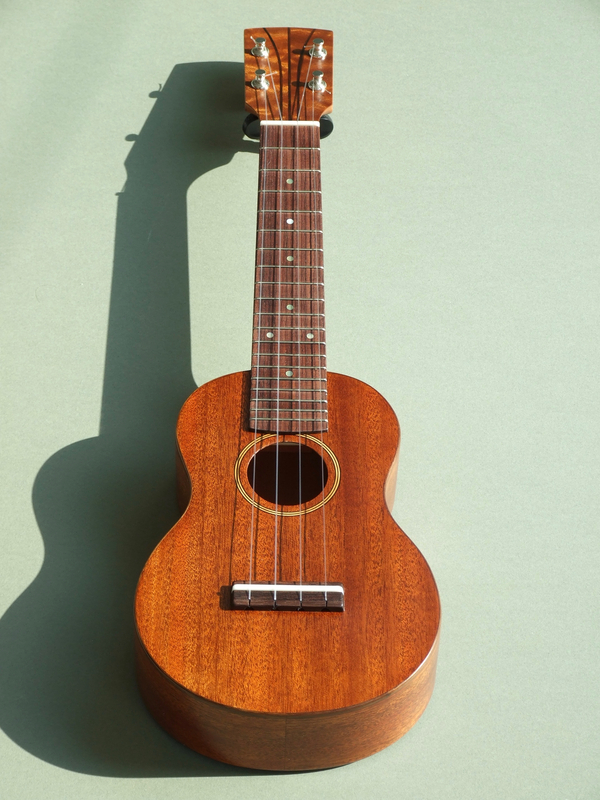 The scale length remains the same as a regular soprano. At 306 grams this is the lightest soprano ukulele I have built. 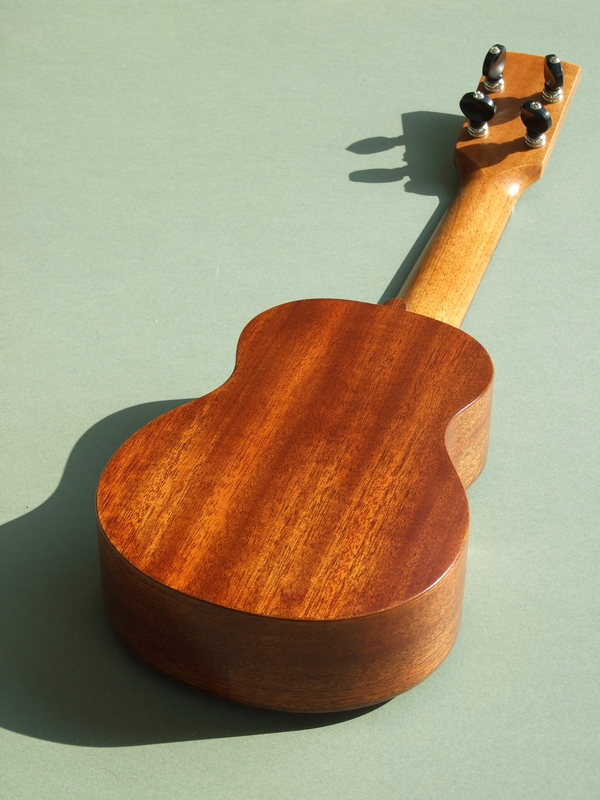 Body: African Mahogany (Khaya) with Walnut binding to the top.